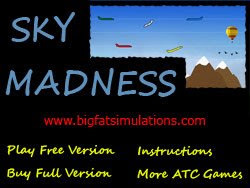 Four years ago, in an attempt to offer something really simple and straightforward for all audiences, we developed Sky Madness. It was sort of an “Airport Madness takes to the skies” concept. 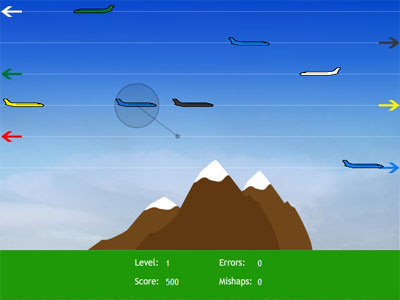 The game is extremely simple to grasp, just drag the airplanes to their correct color-coded flight levels, while avoiding other objects. The first few levels are pretty easy, but the game gets challenging once you get into the double digit levels. The first version’s graphics were pretty bad, I’ll admit. Four years ago, I was still a one-man band. It’s hard to be a one-man band. You have to play a steady drum beat, while holding a trumpet in your right hand and a tamborine in your left. Or in my case, you have to know how to write game code, create art, manage a website, and be 24/7 customer support. I now have lots of help. The new Sky Madness art was not done by me, but somebody far more qualified. The game play has also changed dramatically. I basically modeled it after Angry Birds. I figure the folks at Rovio have this game dev thing all figured out, so I borrowed a page from their book and set up a structure of unlockable levels. I think it’s a good fit, and I plan to add this design to future versions of Airport Madness. Oh, and I also added some cool game logic that detects how good of a player you are. If you are failing miserably it gets easier. If you are a rock star, the difficulty increases. I also plan to add this to Airport Madness 5, due this spring. Sky Madness can be played on PC and Mac computers, or if you have an iPhone or iPad, get the app! Enjoy! This entry was posted in iOS Development, iphone games, Sky Madness on February 20, 2013 by admin. We are pleased to announce an update in the works for Sky Madness. You may be wondering, “Why Sky Madness? Aren’t you supposed to be making Airport Madness 5?”. The truth is, Sky Madness has always been special to me. I like the game. It’s fun. Plus, our artist created beautiful new artwork for it a year ago, and I’ve been sitting on it ever since. 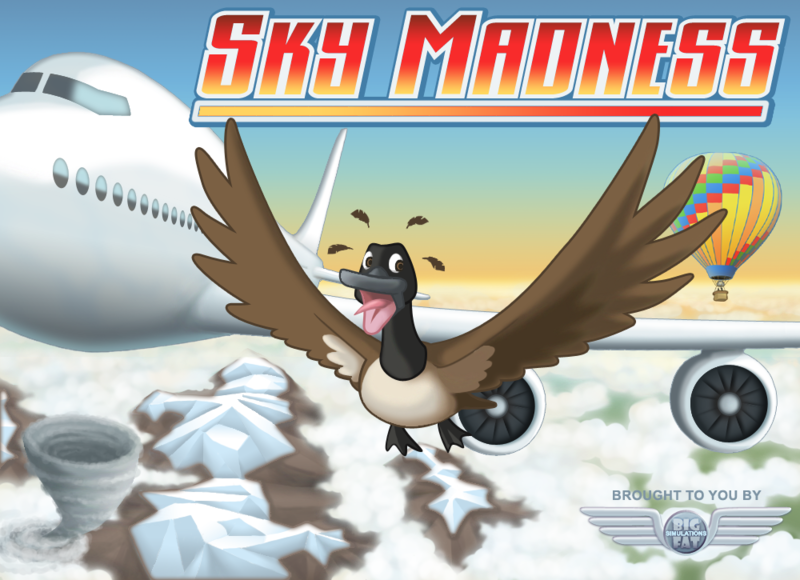 Sky Madness has always been one of our “bargain bin” games, with a price tag of $4.99. When we recently decided to port the game to iOS, it occurred to us that it needed a larger resolution and more polish. We now offer a huge 1000×750 resolution, improved graphics, better game structure and more levels. If you own Sky Madness already, contact us after the release and we will give you a free link for the update. When BFS got started five years ago, our first game was insanely complex. To an almost unplayable degree. So we dumbed it down and made an easier radar game. Then came our hugely successful Airport Madness. We thought we were on the right track with keeping our games simple, and Sky Madness came next. It was the ultimate ‘easy’ ATC game. It never did that well, however. The original graphics were horrible (made by me) and the game play was poorly designed. 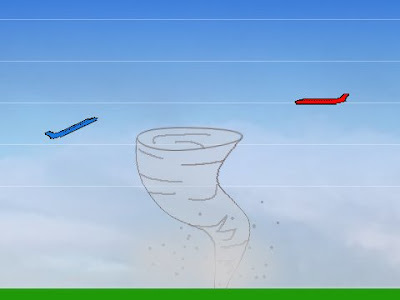 The Sky Madness update will bring a new look and feel. It will be available on PC, Mac, Linux, iPhone and iPad. We hope you will support us and help keep our little pirate ship afloat by purchasing Sky Madness after it’s upcoming update. This entry was posted in Sky Madness on January 4, 2013 by admin.